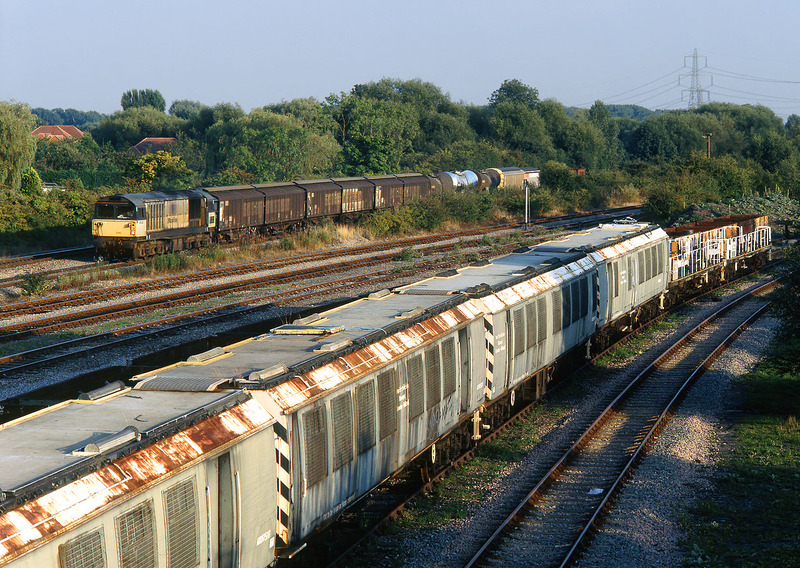 58040 Cottam Power Station passes Hinksey Yard on 1 September 1999 with the 6S65 15:19 Eastleigh to Mossend Enterprise service. Note the inclusion of a couple of china clay tanks from Quidhampton, one living up to its 'Silver Bullet' nickname, the other not! A rake of overhead electrification vehicles is parked in the foreground.